"One Time Payment" to us online you can do that here. 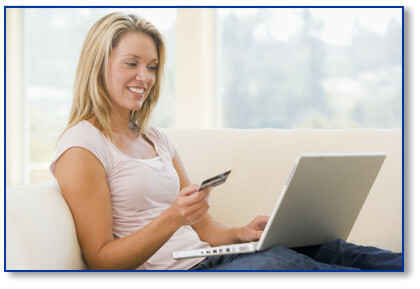 We use the same secure payment option many of our clients use, PayPal. Keep in mind that you don't need a PayPal account to use this option. You can pay with VISA, MasterCard, American Express, Discover, a debit card, PayPal or directly from your checking account. 1. 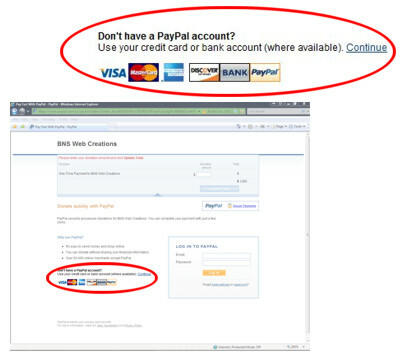 Click on the PayPal logo below and you will be redirected to the PayPal Web site. To verify it is their secure page, watch for your address bar in your browser to turn green. 3. On the page that follows you will need to fill in your payment information and then follow the rest of the instructions to complete your transaction. 4. As long as you entered a valid email address during the process you should receive a confirmation email from PayPal of your transaction. On your next invoice it will be noted on the payments line that you paid online.